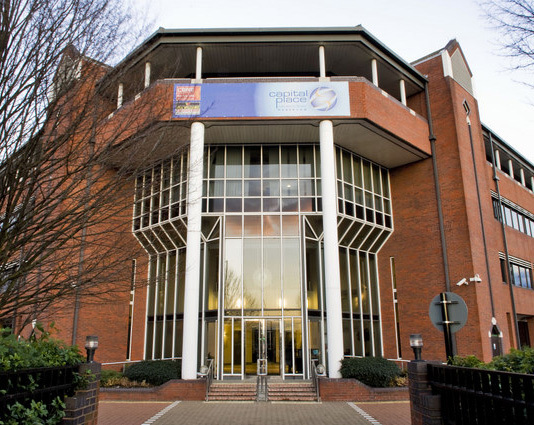 This quality Hagley Road virtual office in Birmingham is a highly stylish office located only moments away from Birmingham City Centre, at Five Ways, Edgbaston. This virtual office space offers a host of services that will make your business run smoothly. Offerings include 24 hour access, mail handling, high-speed internet and temporary-use office space. Overall, this is an excellent choice for a virtual office in Birmingham. 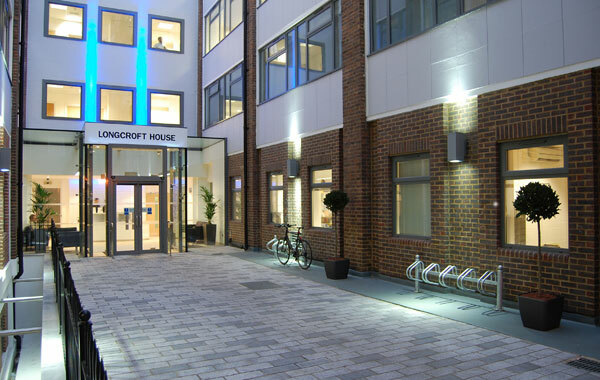 With excellent transport links to central London and to Heathrow airport, this virtual office is perfect for any business. We feature state-of-the-art amenities such as 24-hour access and security, the best in communications technology, Wi-Fi in the reception areas and restaurant, fitness center and car parking. Perfect for financial, legal, technology, consulting and a variety of other industries who have flexible office requirements. 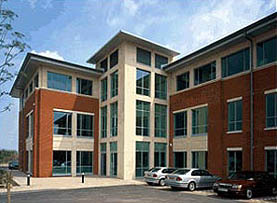 This leading Bristol virtual office is located in the heart of Bristols central business district in St. Brandons House. With a large conference room, LCD projection, and staffed reception, you are sure to represent your business in the best way possible. Brilliantly located, this Bristol virtual office is wonderful when you need a day at the office or to meet with a client. 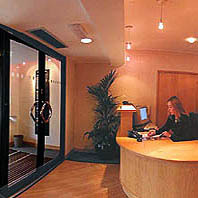 These Bristol virtual offices are tactically located in well-known Westbury at Trym Lodge. 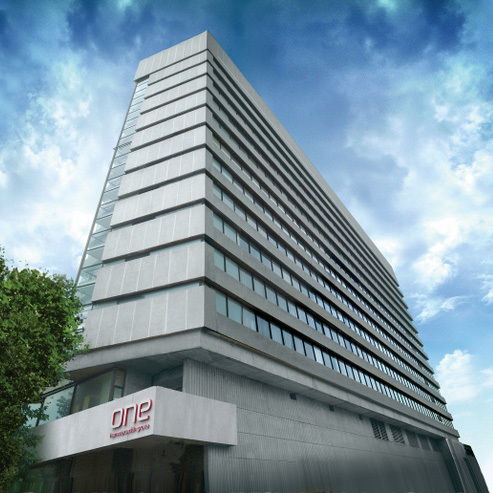 With smartly furnished temporary-use offices and an attractive lobby, this is a remarkable place to call your virtual office with broadband internet access, meeting rooms (equipped with the latest audio-visual equipment), large conference rooms and catering facilities. This is a splendid place for technology companies, consultants or any business that serves the area's numerous companies. 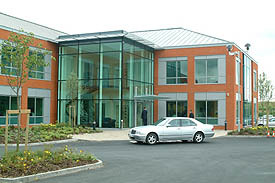 Maximize your business flexibility in this Bristol virtual office located just off junction 16 of M4/M5 intersection. This office offers on-demand amenities such as full-sized conference rooms (with internet), CAT 5e cabling, broadband internet access, audio visual equipment, catering facilities and a cafeteria area. This virtual office is perfect for businesses of all types, including financial and banking, real estate, legal, healthcare and more. Set in the Victorian Conservation area of Cathedral Road, this well decorated Cardiff virtual office is ready to offer you both a great address to put on your business card and a nice spot to meet with clients or spend a day at the office. This center has outstanding on-demand amenities such as a LCD projector, large conference room with internet, staffed reception and so much more. Your Cardiff virtual office is prepared for everything and more so you can maximize your efficiency. 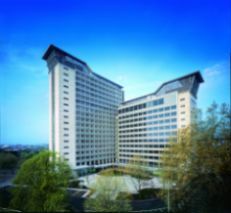 One Caspian Point occupies a prime location in Cardiff's prestigious waterside development and is a short distance from the M4 and the City Centre. With easy access and excellent transport links, Cardiff Bay train station is a 5 minute walk away and Cardiff Central is 10 minutes by chauffeur driven car. One Caspian Point offers a stunning waterfront business destination. 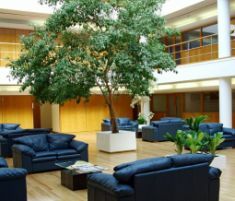 The building provides a modern working environment with flexible space, excellent facilities and parking. Milton Keynes station provides excellent rail links to London and Birmingham. Parking in Milton Keynes is plentiful and access by car is simple and unhindered. Parking is both on-site, with designated spaces, and at the rear of the building. A free of charge, fully uniformed chauffeur service is available to all clients. 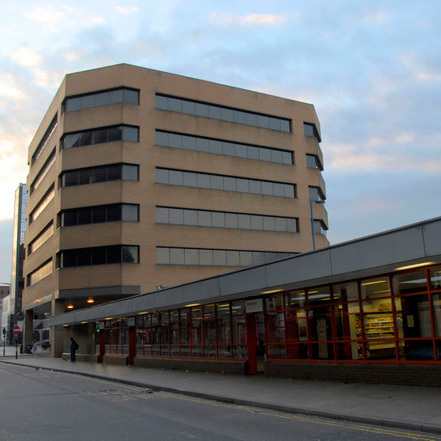 Gloucester House is situated on Silbury Boulevard, within moments of the central shopping area. This impressive virtual office in Covent Garden provides business owners and entrepreneurs alike with the prestigious business address they have been looking for. Virtual Office clients at this location can benefit from services such as mail receipt and forwarding, along with the option to add phone answering services at any point. Phone answering services include a local telephone number, as well as a Live Receptionist answering calls in your company name. If you live nearby or are planning to take a trip to London, make the most of the business centre�s fully-furnished meeting rooms and flexible offices: making this virtual office the perfect location to meet your clients. 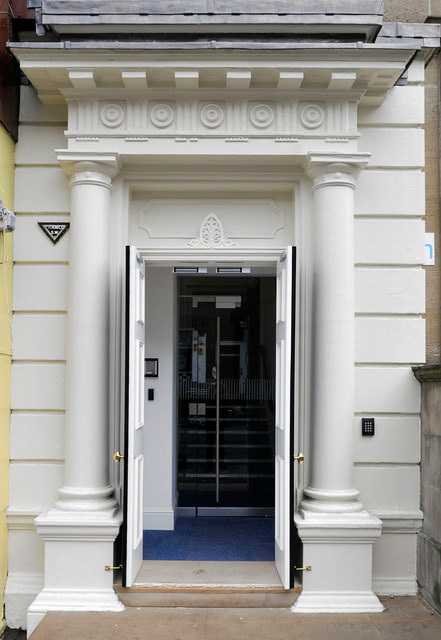 This highly equipped, contemporary office space provides you with the ideal virtual office in Edinburgh. We have a number of offices that range from small executive suites to entire floors configured to your needs, meeting and training rooms on-site, business support services, and our state-of-the-art technology that will provide you with what your business deserves. This location is perfect for financial, legal, technology or real estate companies, but can accommodate just about anyone. In the center of Harrow is this lovely virtual office. We provide you with quality meeting rooms, serviced office space, an exclusive reception and comfortable communal spaces. Perfect for financial, legal, technology, consulting and a variety of other industries who have flexible office requirements. 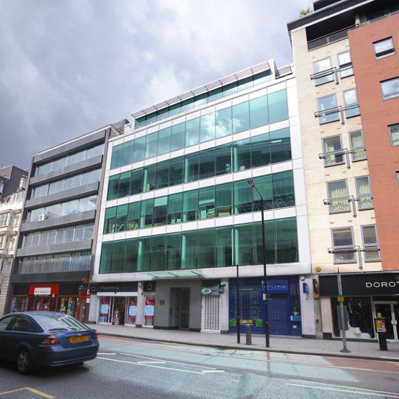 16 High Holborn is located over exit 1 of Chancery Lane tube station, on the central line. 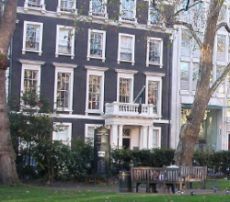 The business centre sits in a row of landmark buildings, which join up with the junction of Gray’s Inn Road. 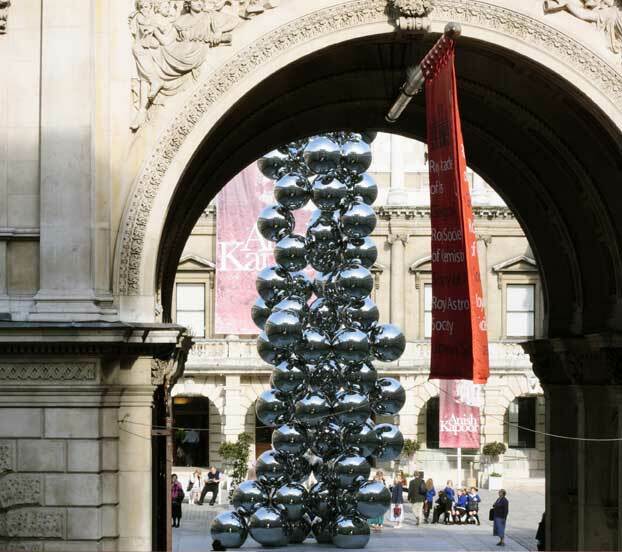 You can reach the centre equally easily by stopping at Holborn tube station and talking the short walk down High Holborn, or even use any of the 8 buses which stop at the High Holborn, Greys Inn Road junction. 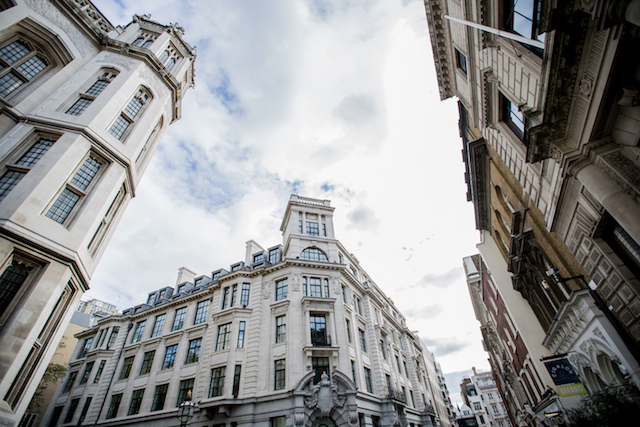 If you are looking for a West End virtual office that will impress clients, then try this esteemed Hanover Square address located in Mayfair just off Regent Street. We provide many highly useful office services such as on-demand meeting rooms, training spaces and temporary-use offices. Come see how your business can flourish in this great office space and impress clients with the West End address on your business cards. 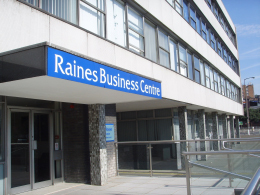 Capitalize on your businesss flexibility with this London Ealing virtual office surrounded by thriving businesses near one of Ealing Broadways main thoroughfares. This center delivers excellent services and amenities to make the best use of your company's flexibility with advanced presentation equipment, staffed reception, day offices, conferences rooms and reliable high-speed internet. This London virtual office is prepared with everything and more so you can stay on track. 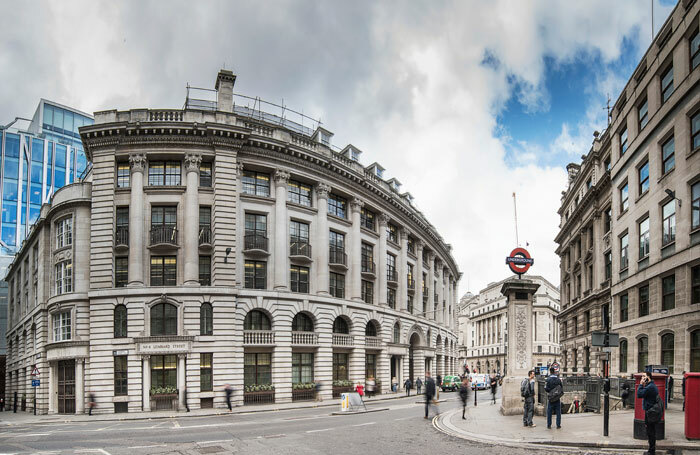 Capitalize on your businesss flexibility with this London Victoria virtual office surrounded by thriving businesses and government offices. This center delivers excellent services and amenities to make the best use of your company's flexibility with advanced presentation equipment, staffed reception, day offices, conferences rooms and reliable high-speed internet. This Victoria virtual office is prepared with everything and more so you can stay on track. This London West End virtual office in the Media Village offers a great business address and a selection of professional office services to maximize your business efficiency. Whether you are looking for just a day office or meeting room, high-speed internet, conference rooms, a business center and video conferencing are offered. This West End virtual office is perfect for financial, legal, technology, consulting and a variety of other industries which have flexible office requirements. 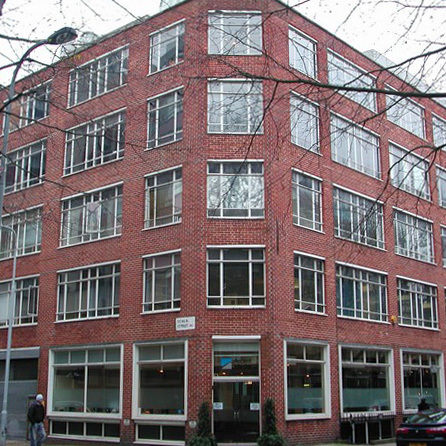 This popular virtual office in West End is located just north of Oxford Street in London. We provide you with full professional office services such as state-of-the-art A/V equipment, high speed internet access, coffee and tea service, photocopy area, mail handling and temporary-use offices. This West End virtual office in London is prepared with everything and more so you can stay on track. 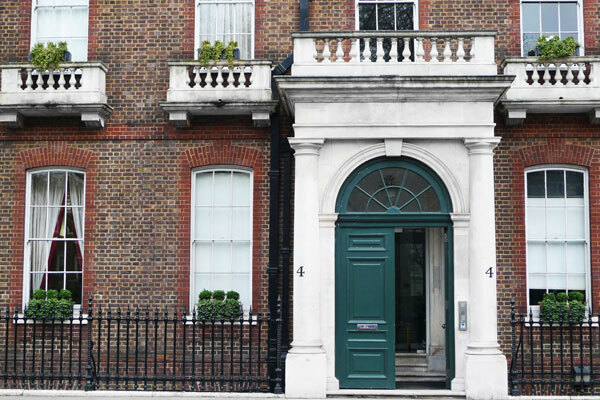 This exquisite London virtual office is situated on the west side of South Hampton Row. Take advantage of the state-of-the-art platforms, day offices, hot-desking, high-speed internet, photo copy area, mail handling and more. With plenty of parking and 24/7 access, this London virtual office is perfect for your businesss flexibility and professional office needs. 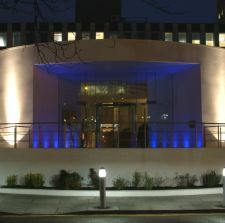 Located in the heart of Hammersmith is this landmark virtual office. Whether you are looking for a day office or meeting room, this location is perfect with conference rooms, furnished offices, secretarial services, and hot-desking. This Hammersmith virtual office is perfect for financial, legal, technology, consulting and a variety of other industries who have flexible office requirements. This London virtual office offers an exciting array of services to make your flexible business even more efficient. We offer professional office services such as internet access, conference/meeting rooms, day offices, and copy/fax service. This West End virtual office is a perfect fit for financial, legal, technology or real estate companies, but can accommodate just about anyone. Allow us to provide you with a modern, convenient, yet prestigious virtual office, all within an exquisite London address. This virtual office can provide on-demand meeting rooms, high speed internet, day offices, copiers/faxes/postage, CCTV cameras, training rooms, conference rooms (with internet), and reception services as needed. This is an exciting location for technology companies, consultants or any business that serves the area's numerous companies. This modern virtual office in London offers you the business flexibility you need to run your business. 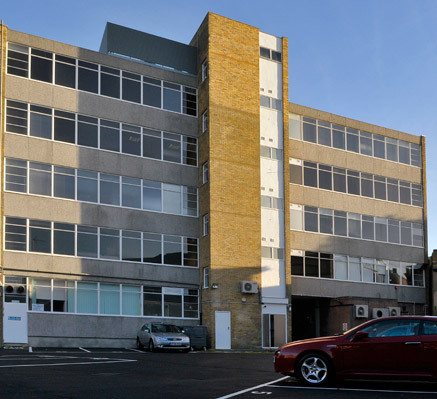 Arranged over ground and four upper floors, this building features professional office services such as a comfortable reception area, Wi-Fi equipped communal area, meeting and training rooms, VoIP and data communications infrastructure, and reception services. Beautifully located, this location is easy when you need to visit to pick up your mail or meet with a client. 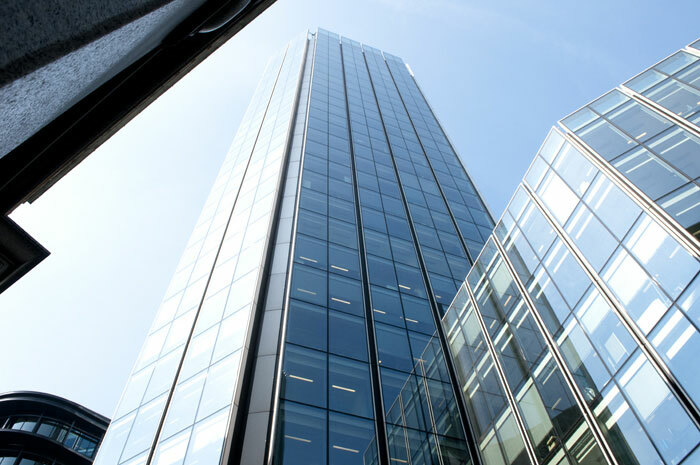 Situated in the heart of London’s legal district, Fetter Lane is a fully refurbished business centre offering a variety of serviced office suites from 2 person offices. There are also a number of fully equipped meeting rooms available to hire, and a highly trained centre team on hand to help with any day to day business needs. This Lombard Street virtual office in London City is perfectly situated in the center of town and gives businesses the flexibility they need without the cost of a full-time office. Providing professional office services and amenities such as large board rooms and meeting areas, professional receptionists, video conferencing, and much more will help catapult your business. This fine London City virtual office is sure to be a great fit for any type of flexible business. This London virtual office embodies the prestige and style of Mayfair and St. James in West End, and is a great location for your growing business to put on its business card or to meet with clients. This West End virtual office offers conference rooms, temporary-use offices, broadband internet, mail forwarding and much more. This virtual office is a convenient place for a mobile professional or to meet with clients as it is near Piccadilly Circus and Green Park tube stations in Zone 1 and also easily accessible by bus or by car (parking is available). 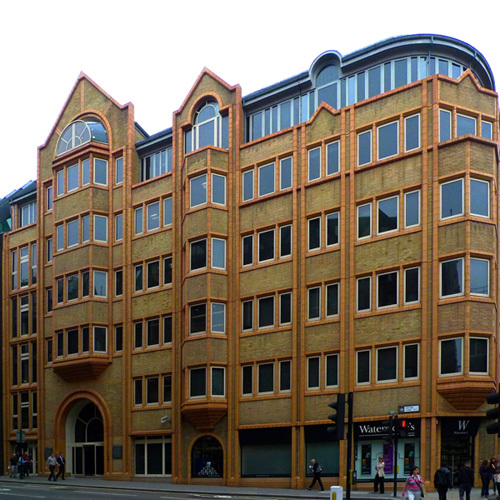 Close to the Liverpool St Station you will find this architecturally beautiful virtual office. This center delivers exceptional services and facilities to make the best use of your company's flexibility with superior communications, day offices, conferences rooms, and reception services. This virtual office is prepared with everything and more so you can stay on track. 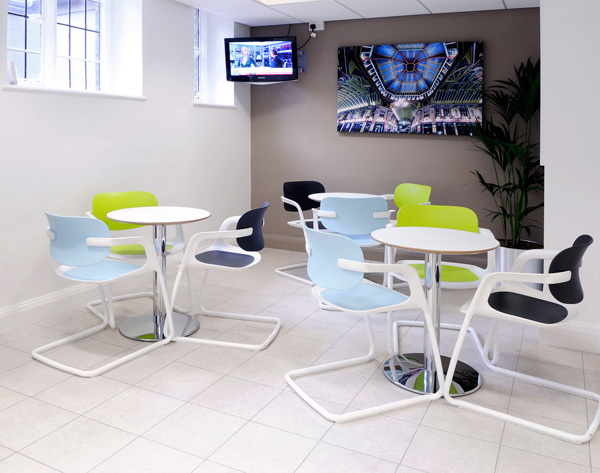 This virtual office is located in its own quiet courtyard, just off Bishopsgate. Some of the amenities include boardrooms finished to a high standard incorporating full audio/visual systems with interactive whiteboard and video conferencing. There are also breakout/lounge areas and shower facilities. With a 100MB leased line, full IT systems, instant access to large bandwidth and VOIP telephone system, the center caters to clients' needs in the advancing world of business. 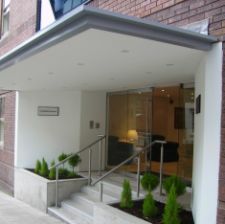 This Notting Hill virtual office in London is popular with music, media, and arts tenants. We offer a managed workshop space, studios and offices from 100 to 1,000 square feet, meeting rooms, mail handling, mail forwarding and more. Take advantage of our flexible offerings at this Notting Hill virtual office to make your business more efficient. 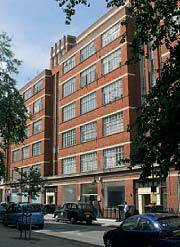 This Landmark London City virtual office is in a great location with a fabulous office and a full menu of amenities. We offer professional office services such as conference rooms, meeting spaces, mail handling, high speed internet access, LCD projectors, video conferencing and reception services. This London City virtual office is just right for those who have flexible work schedules, who need flexible workspaces or are mobile professionals. 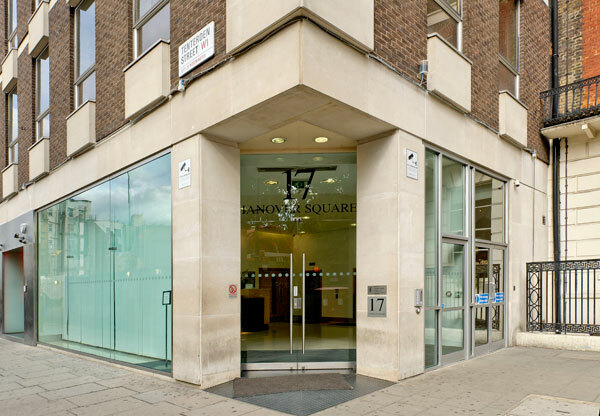 17 Hanover Square is a 3 minute walk from Oxford Circus giving direct access to the Victoria, Central and Bakerloo tube lines. Hanover Square is a prime Mayfair location and the building itself if modern and light having undergone a full refurbishment. 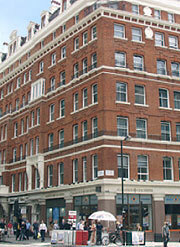 Cavendish Square is located just north of Oxford Street, a few minutes’ walk from Oxford Circus. The square itself is large with a public garden in the middle. 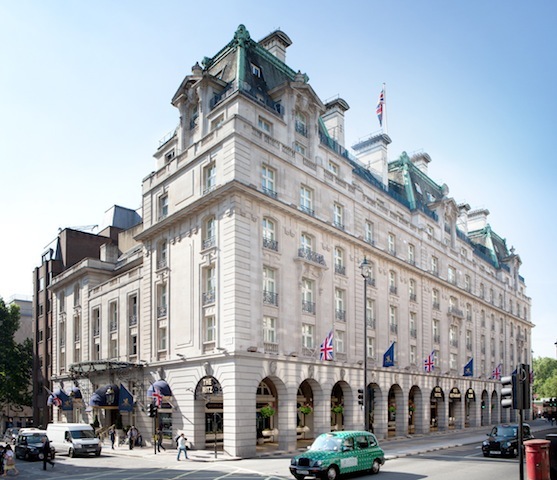 World famous Harley Street runs off the square and Regent Street is a few hundred metres away. Oxford Circus tube station (Central, Victoria and Bakerloo lines is just a few minutes away). 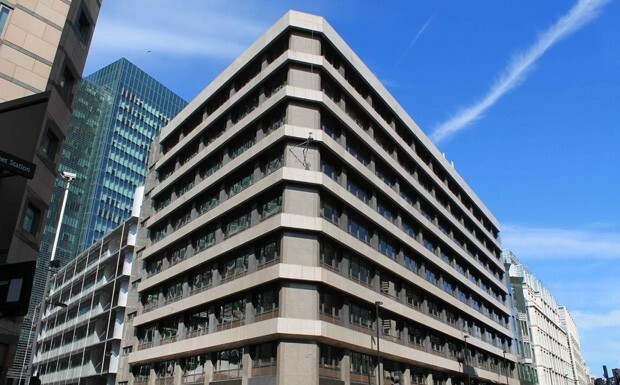 This great Moorgate virtual office location has been fitted with 17,400 square feet of premium virtual office space, and you have GOT to check this place out! The building boasts a prominent corner location positioned centrally within the financial district. Building occupants may also enjoy use of a large landscaped roof terrace that is perfect for quiet breaks or for entertaining clients. In addition to this location's close proximity to the city and bank, it also offers a great solution to those searching for serviced office space in London EC1, Shoreditch and Old Bailey. Seeing is believing! 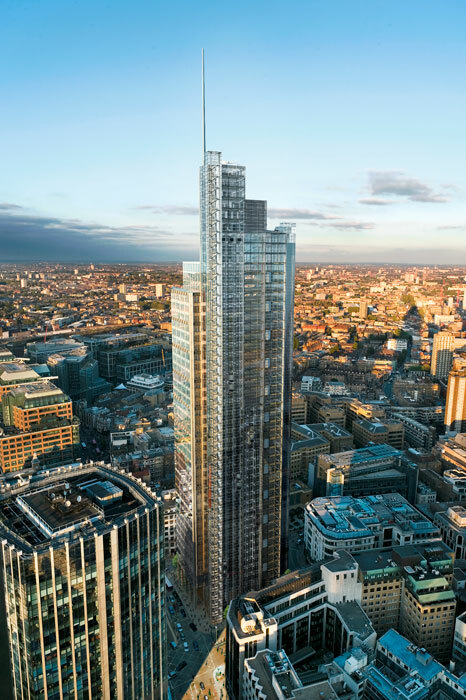 The newly built skyscraper makes for the ideal London virtual office location. With access to rooftop bars, trendy restaurants and terraces, this strategically located virtual office address would make anyone jealous. Superbly positioned between Houndsditch and Camomile Street, this office building sits diagonally across from Liverpool Street Station. This world-class building is hard to miss with its stunning design and impressive triple-height arcade entrance. 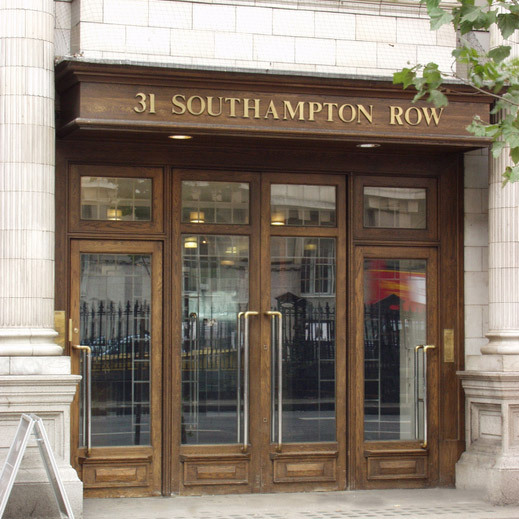 This prestigious London virtual office location is not to be missed! 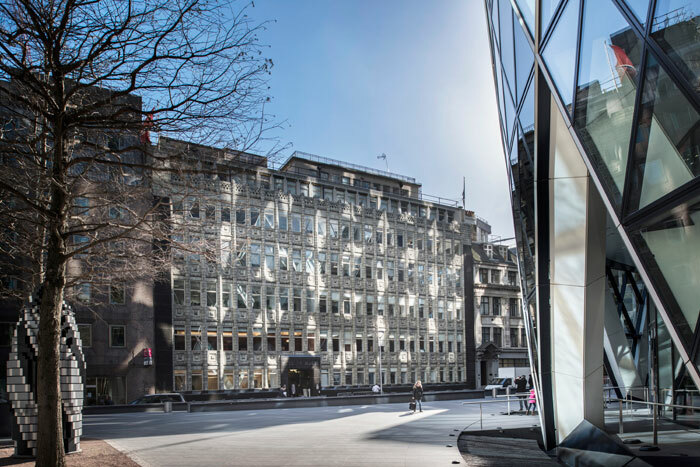 Integrated right in the heart of lovely Mayfair, the beautiful building was designed by award-winning architects Squire and Partners, and provides a fabulous opportunity to work from modern office accommodations with a highly impressive address. Perfectly perched on the first and second floors and offering views of the historic neighbourhood, this is one London virtual office that is too good to pass up! Langstone Business Park is located off junction 24 of the M4 making it ideal for any company requiring immediate motorway access and any business wishing to make themselves easily accessible. Newport City Centre is approximately 5 minutes away, and Cardiff approximately 15 minutes. This location also offers easy access to Newport train station, bus links and Cardiff airport. One large facility nearby is the Celtic Manor, which hosts the 2010 Ryder Cup which is expected to be a massive event for South Wales. 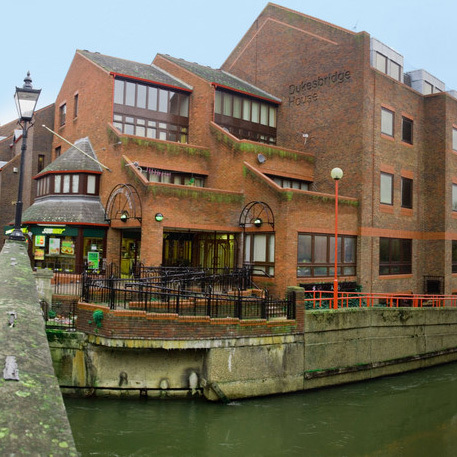 Virtual offices in Nottingham are in great demand and this space is no exception. At the Cumberland House, with its eye-catching décor and modern architecture, this is a fine place to call your office. This virtual office provides on-demand meeting rooms, high speed internet, mail handling and reception services as needed. 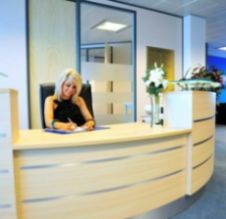 This is a choice Nottingham virtual office locations location for companies that serve the area's numerous companies. This Solihull virtual office gives businesses the flexibility they need without the commitment of full-time offices. Providing on-demand services such as day offices, meeting rooms, internet connections and projection equipment. The center offers 24/7 secure access and mail handling to make your business even more dynamic. 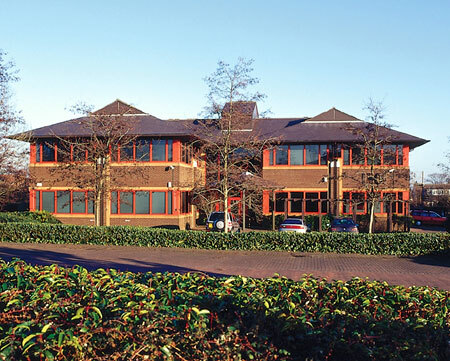 This Solihull virtual office is located within minutes of Birmingham Airport, M42 and International Station. 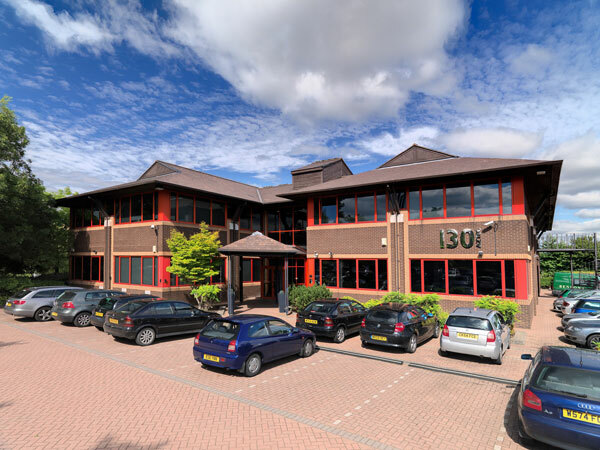 If you are looking for a Solihull virtual office that will impress any client, then try this Starley Way virtual office located on Bickenhall Lane. This virtual office solution provides many high useful office services such as high speed internet access, furnished temporary-use offices, meeting rooms and video conferencing. Close to retail parks, banks, and hotels makes this virtual office in Wakefield a great location. Enjoy a range of additional services that we have available including secretarial services, high speed internet access, telecoms tailored to your specific requirements and a rang of exquisite meeting and interview rooms catering up to 20 guests. Perfect for financial, legal, technology, consulting and a variety of other industries who have flexible office requirements.